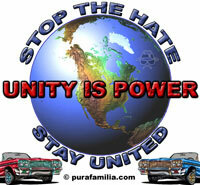 Pura Familia Car Club is an exclusive car club with quality in mind. we are located in Chicago, IL. Some of our member have been lowriding for over 20 years and counting! 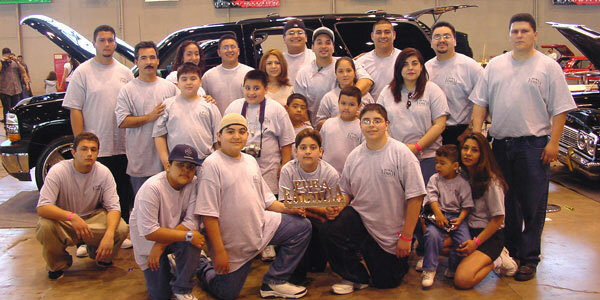 Pura Familia Car Club started on 11/15/2001 by our founders David Espinoza, Art Martin and Rene Espinoza. The name of Pura Familia was suggested by David Espinoza and we all agree since what we were forming was a "Familia" and adding "Pura" made sense because Pura Familia = Pure Family. Q: Why do you have 2 Vice President's? A: The reason we have 2 VP's (a First VP and a VP) is because out of the 3 founders we knew that David was getting the President spot the rest is history!